The United Nations Global Compact offers internship opportunities to recent graduates from all over the world in its New York office. About the Award: The United Nations Global Compact pursues two complementary objectives: (1) making the UN Global Compact and its principles part of business strategy and operations everywhere; and (2) facilitating cooperation among key stakeholders by promoting partnerships and other collective action in support of UN goals. Value of Internship: Internships at UN Headquarters are unpaid. Interns must therefore be able to cover their costs of travel, accommodation, as well as living expenses during the internship period. How to Apply: Those interested in pursuing an internship with the United Nations Global Compact must submit an online application at the UN Careers website. For Winter 2017, the Global Compact Internship Job Opening Number is 66635. Candidates are strongly recommended to pay attention to the job opening number to make sure that their applications reach the UN Global Compact Office. Visit Internship Webpage for more details. Important Notes: Due to the large number of applications received, only accepted interns will be notified a few weeks before the beginning of the session or within 4 weeks after each session’s application deadline. 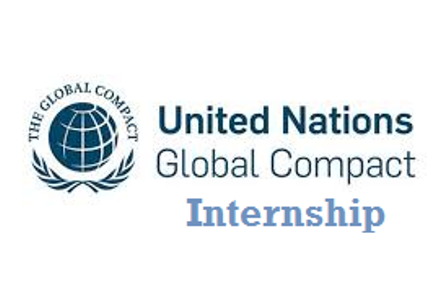 Now that all the information about United Nations Global Compact Winter Internship has been delivered nicely; talented and interested students, can apply now.